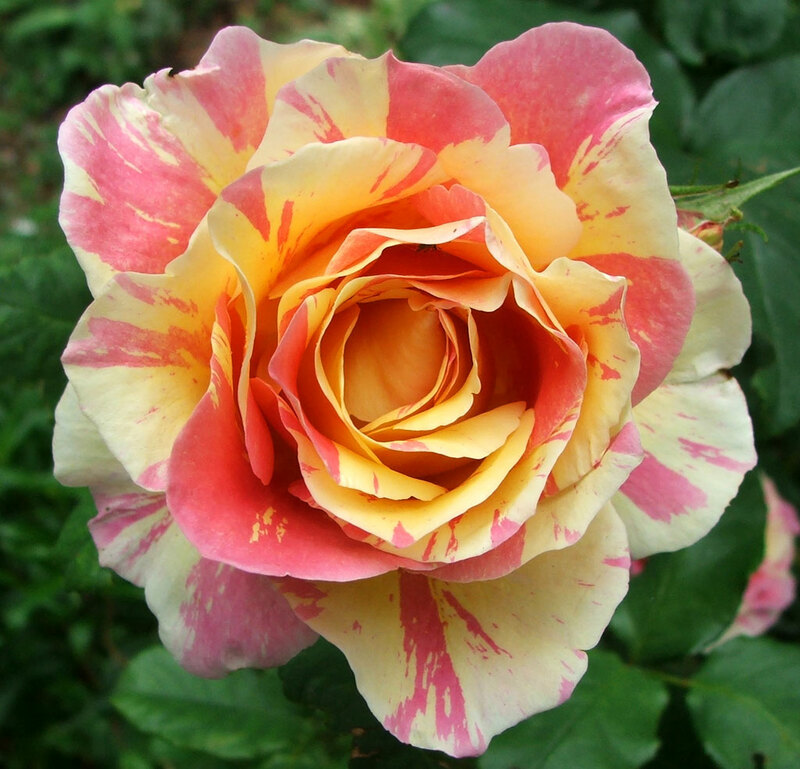 Roses are often drawn and painted by artists and some of these artist such as even have roses named after them.. The Impressionist painter Claude Monet has a rose named after him as do the painters Paul Cézanne and Pierre-Auguste Renoir. Henri Fantin-Latour was a prolific painter of flowers including roses and The Belgian artist Pierre-Joseph Redouté painted some of the most detailed paintings of roses. 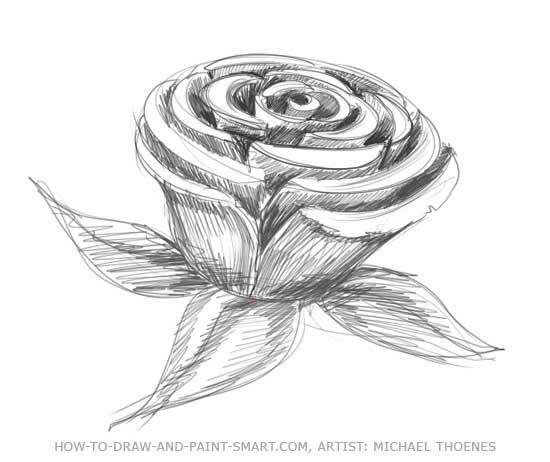 So you are in company if you want to learn how to draw a rose. 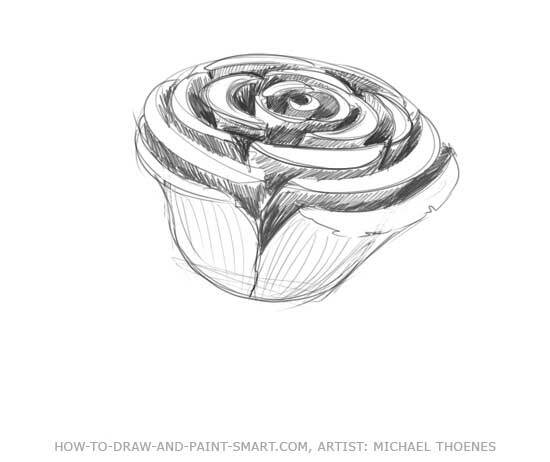 Roses and rose art are prized for their beauty. The rose has always been valued for its beauty and it is an ancient symbol of love. Afterall who wouldn't feel loved if they were given such a beautiful flower. Learn how to draw a simple rose, how to draw a pencil rose, how to draw a red rose... 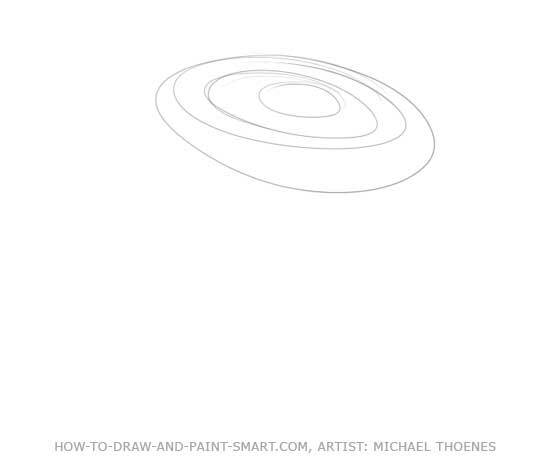 This lesson will get you started. 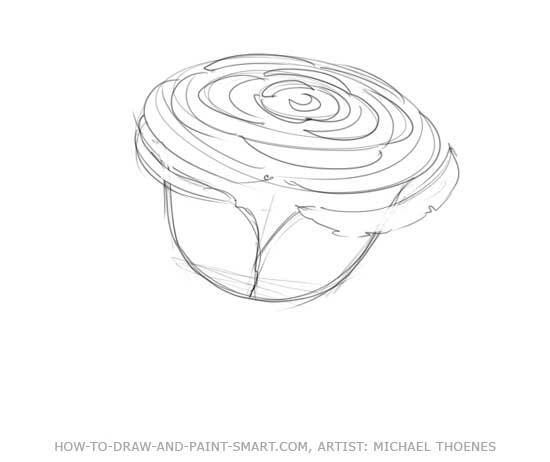 Now let's get started with "How to Draw a Red Rose." 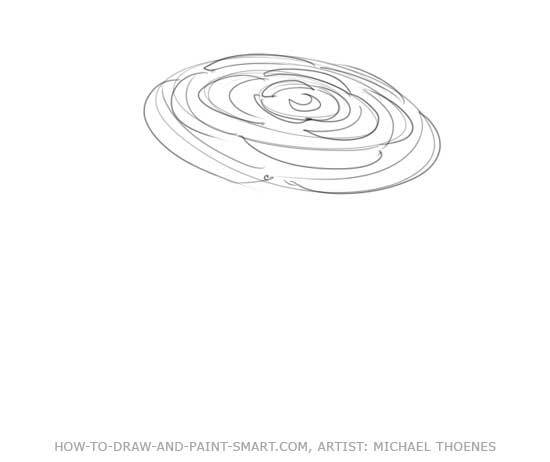 "How to Draw a Red Rose!" 1. There are over 100 species of roses and they come in a variety of colours. 2. A rose is a perennial flower shrub or vine. Perennials are plants that grow and bloom over the spring and summer and then die back every autumn and winter, then return in the spring from their root-stock rather than seeding themselves as an annual plant does. 3. The word 'Rose' means pink or red in a variety of languages. 4. 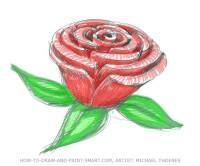 The stem of a rose, either the main stem or lateral stems or branches is called the "Cane"
5. Roses have Hips. Rose Hips are what they call the he seed pods of roses. Rose hips are occasionally made into jam, jelly, and marmalade, or are brewed for tea, primarily for their high Vitamin C content. The French are known for their rose syrup, most commonly made from an extract of rose petals. In the United States, this French rose syrup is used to make rose scones and marshmallows. 6. Perfume is made from oil that is extracted from rose stems.